If you’re doing a GORUCK event, you’ll need a headlamp. More than that, it needs to be 1) water resistant/proof and 2) have a red light option. For my first several events I chose to use the Black Diamond Storm. 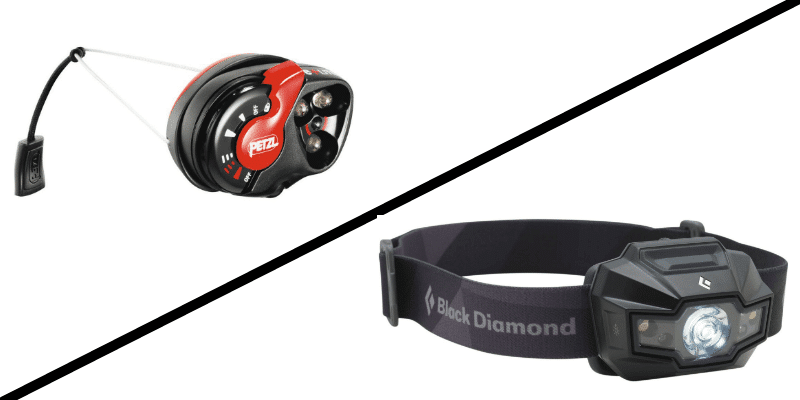 It is a higher end headlamp that is waterproof and has a number of different light settings. It is a great lamp and gets the job done. 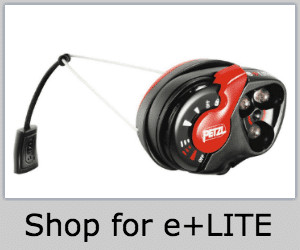 For my last event I switched to the Petzl e+LITE. Technically designed as an “emergency” headlamp, the ultralight design and easy use has made it my new go-to headlamp for GORUCK Events. Below I’ll outline the good and the and of both headlamps and explain why I’ve converted to the e+LITE. It has the ability to have multiple lighting options including white and red light. To make things even fancier you can “dim” both the white and red lights, which is super useful to getting just the right amount of light when you need it. The light has the ability to “tilt” so that you can get the light to point wherever you want it. 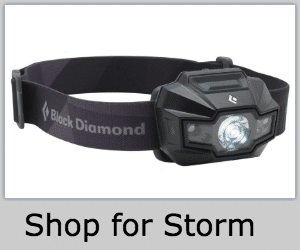 It has a much higher waterproof rating than lesser priced lamps, thus indicated the “storm” name. It is LIGHT. Like, it weighs nothing. It is waterproof, so a quick dip in the river shouldn’t impact it. Changing lights from bright to dim to red to blinking is SUPER easy with the leaver on the lamp. The lamp doesn’t just tilt, it is actually on a joint that allows nearly 365 degrees of rotation to point the lamp anywhere you want. It is cheaper than the Storm. Mastering the buttons to switch between white and red is really tricky. Even with a lot of practice, I still can’t consistently get it to the right light when I want it. This is super frustrating in an event when a cadre is yelling at you to switch to red light because he hates white light. The “dim” feature is super cool, but again, mastering it takes way too much work. It is heavy (as far as headlamps go). Even before I tried to e+LITE I didn’t particularly care for wearing the Storm because of its weight. The headband is a string. The truth here is that it will either not bother you or it will cause you smash it against a wall in a fit of rage. That said, the string does NOT bother me. 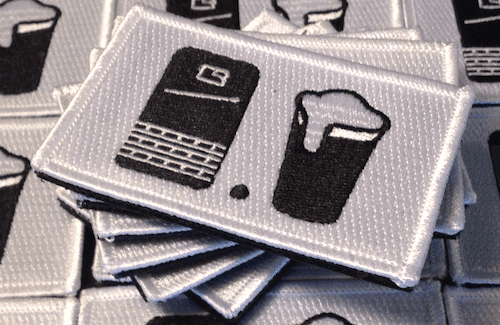 I wore it for an entire night during my 9/11 GORUCK Heavy and it didn’t bother me one bit. But, I could see how some people might not like it. So small, it is easy to lose. Takes watch batteries. Not gonna be easy to change during an event. But, batteries are supposed to last for like 70+ hours… so. I love the e+LITE. For me the Storm is too heavy and too complicated. The e+LITE solves both those problems. I love the ease of use with the leaver to select your lighting and the ability to rotate the light exactly where I want it is much better than just “tilt.” For me, it is the perfect GORUCK headlamp. I picked up some $1 lamps from Walmart and mount it on my chest or around my neck. It works well for general forward light letting me not use my headlamp all the time. I have also put the hat lamps on my gloves to give me excellent light where my hands are working. Just wish I had a red option.